How many paid for Apple Music when it was no longer free? Apple was late to the music streaming business. 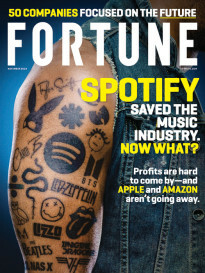 By the time it arrived in July, services like Pandora (EMC) and Spotify were already offering tens of millions of listeners a choice of free music with ads or a paid subscription without. Apple took a different approach. It offered customers a three-month free trial, at the end of which there was no free option, only a $9.99/month individual subscription or $14.99/month family plan. The first free trials ended Oct. 1 and the data in the chart above offers a peek at what the early adopters are doing. 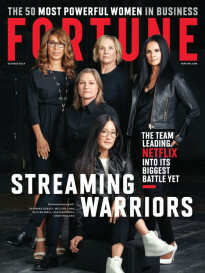 Drilling deeper into the data, Wristly co-founder Bernard Desarnauts found that women were twice as likely as men to say they had no interest in paying for streaming music (27% vs. 14%). That attitude, however, seemed to be on the way out. It was was five times more prevalent among baby boomers (28%) than 18-24 year olds (5%). Jan Dawson of Jackdaw Research is conducting his own Apple Music survey and is finding similar conversion rates. The chart below, which he posted in August, shows paid subscription numbers for Spotify (27%) and Pandora (5%) that are considerably lower than the 42% conversion numbers among Apple Watch owners. “No pun intended, but you’re comparing apples and oranges there,” says Dawson. With Spotify and Pandora (P) there’s a free option that works in perpetuity. When the 3-month trial is over at Apple Music, you’re either in for the money or out altogether, with only Beats 1 radio and your old iTunes music library. See also: Is 11 million Apple Music subs anything to brag about?